Oak Park, Michigan – The Oak Park Public Safety Department is seeking the public’s assistance in identifying subjects captured on surveillance video. These individuals are persons of interest in an ongoing investigation of fraud perpetrated against a senior in October 2016 and June 2017. The senior was approached in a parking lot on the southeast corner of Nine Mile and Coolidge on October 21, 2016. The suspects in the case used two vehicles in the commission of the crime, both are believed to be silver or of light color. 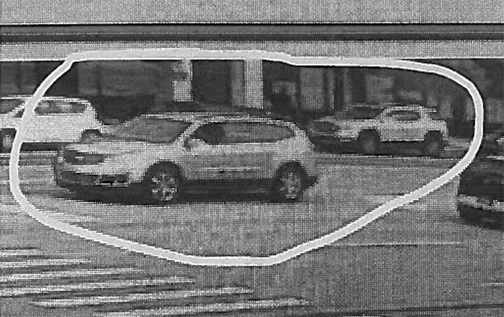 One of the vehicles is a Chevrolet Traverse and the other is believed to be either a Chevrolet Equinox or Ford Explorer. Anyone with information about the individuals or vehicles shown is asked to contact the Oak Park Public Safety Department at (248) 691-7520, ext. 9, or Crime Stoppers at (800)SPEAK-UP/(800) 773-2587. NOTE: Fox 2 Detroit has a more detailed description of the alleged crimes.